Two Different Girls welcomes new contributor Kate Holden-Laudig, who tells us a story about her family and its friends. Unlike other people’s friends. It was 1931. My grandmother (Shel, age 12) and her parents (Robert and Dolly) were living with Mary Craig and Upton Sinclair (yes, the muckracker, and author of The Jungle). Times were hard. Like, really hard. The market had crashed two years before and many people who used to be fairly wealthy found themselves homeless. Robert had tuberculosis and couldn’t work, even if there had been an available job, and so Robert and his family moved in with Dolly’s sister Mary Craig and her husband Upton Sinclair. One day Dolly and Shel were in the living room. Dolly was was looking out the window and noticed something peculiar. There was a homeless man pacing back and forth in front of their home. He was wearing very shabby clothes and he had wild hair. Dolly grew worried. What if he was planning on killing them or even worse –gasp– asking for money? After a few minutes of watching this perhaps insane man, Dolly called for Upton. He rushed into the living room, looked out the window, said, “Oh!” and ran outside. He brought the apparently homeless man inside the house and said, “Dolly, Shel, may I introduce you to my friend, Albert Einstein.” I imagine that Dolly had red cheeks after the hobo’s identity was revealed. 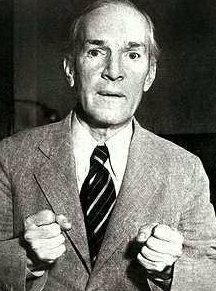 I imagine Upton Sinclair was smirking. I imagine that young Shel was stifling giggles. But all this is, of course, just conjecture. Albert Einstein stayed with them for a few days. My grandmother Shel told me how nice Einstein was and how she was even allowed to serve them tea! Shel kept a diary as a child and wrote an entry the day she encountered the shabby man. “Today I met Albert Einstein and he was full of laughter.” Isn’t that neat? She didn’t describe him as “that weird guy with crazy hair” or “the grumpy professor man.” He was full of laughter. That always brings a smile to my face. 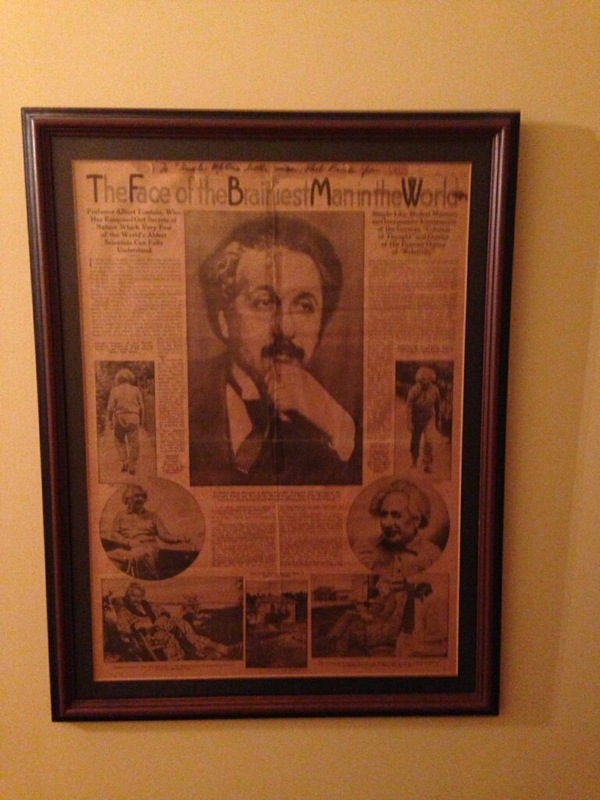 There is also a newspaper clipping called, “The Face of the Brainiest Man in the World” and signed by Einstein at my parent’s home. Einstein signed it with, “To Uncle Upton’s little miss, Shel Prince – Albert Einstein 1931”. It’s worthless now because because my grandmother has traced the words in pen, but the sentimental value is priceless. Moral lesson: Maybe it’s that you can’t judge a book by its cover, but in reality? I just think it’s a neat story. What a great story. And welcome to the blog, I look forward to your posts. What a wonderful story! How cool to hear about another side of a historical icon. Thank you for sharing!